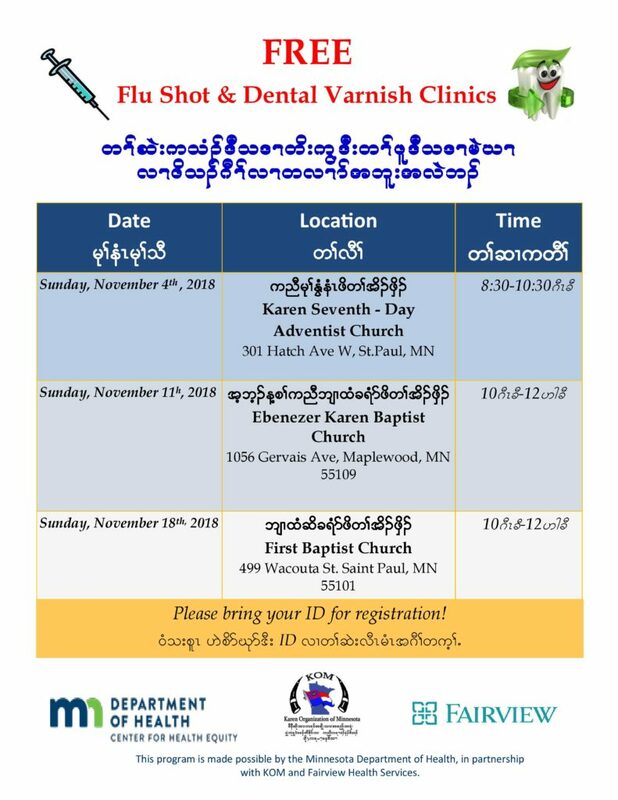 Free Flu Shot and Dental Varnish Clinics will be held this November at three different locations. Check the flyer to find the location for each date and time. All are welcome! Don’t forget to bring your ID for registration!